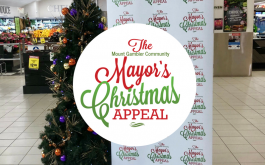 Mount Gambier Central proudly donate 100% of the recycling proceeds to The Mount Gambier Community Mayor’s Christmas Appeal. The Mount Gambier Community Mayor's Christmas Appeal supports those less fortunate at Christmas time through the combined agencies. If you would like to make a donation to please contact the City Of Mount Gambier on 08 8721 2555.